At Freedom, we’re serious about protecting you from fraudulent activity on your accounts. That’s why we’ve strengthened our defenses. Our new automated system can identify threats faster, notify you sooner, and give you the tools you need to take IMMEDIATE action against fraud. The new system allows you to receive an automated call that easily walks you through reviewing suspicious activity on your card. 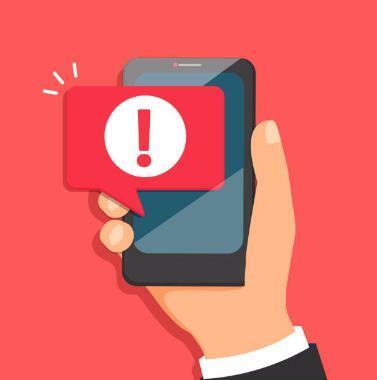 You may also sign-up to receive Automated Fraud Alerts text messages on your mobile phone. When suspicious activity has been detected on your account, our automated system will contact you by text or phone. You can take action the second you receive your alert. Simply follow the instructions to answer questions regarding your recent card activity. Our live agents are ready to assist you at any time to ensure you receive the best defense exactly when you need it. Don’t delay – you’ll want to sign up to receive the full benefit of this powerful new automated fraud prevention system. Log into Online Banking to register for text fraud alerts today! Members should be aware that, while Freedom does monitor fraudulent or suspicious account activity and may proactively contact a member about this activity, we will never call and ask for confidential information such as your entire account number or PIN. Please contact us at 1-800-440-4120 to let us know if you have provided confidential information. ← And The Answer Is?